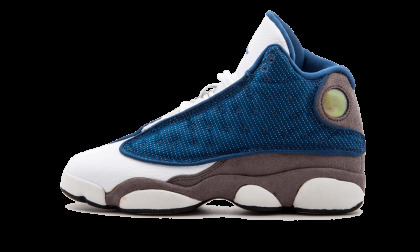 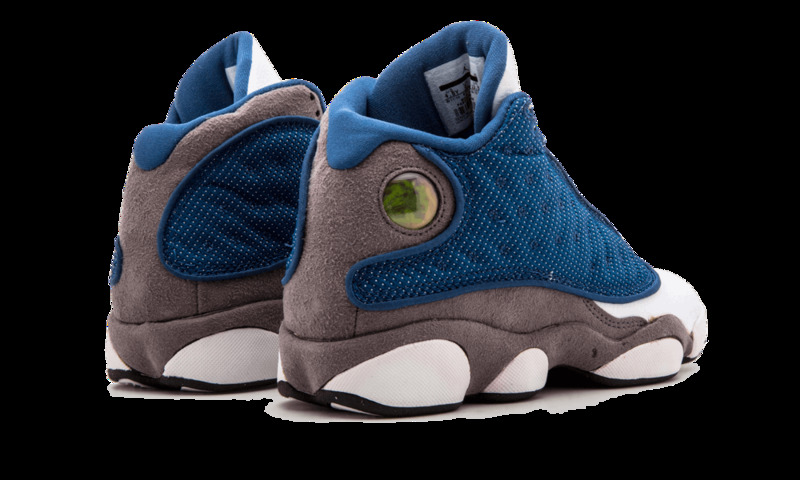 This iteration of the Air Jordan 13 Retro is a little more muted than the usual colorways. 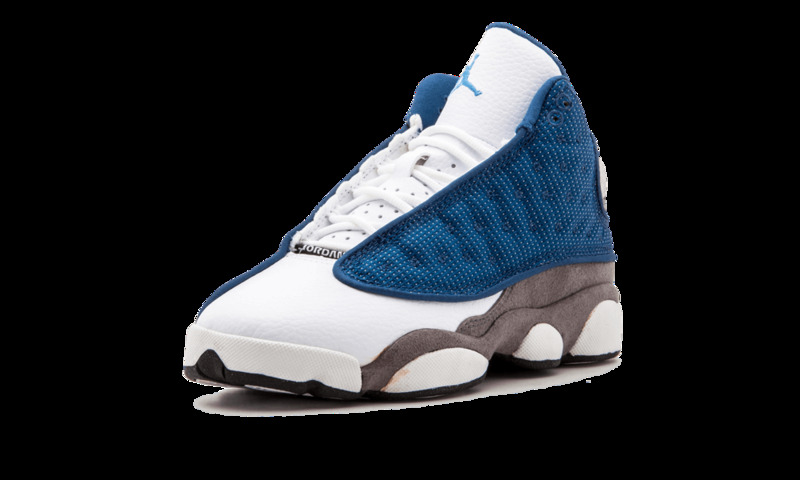 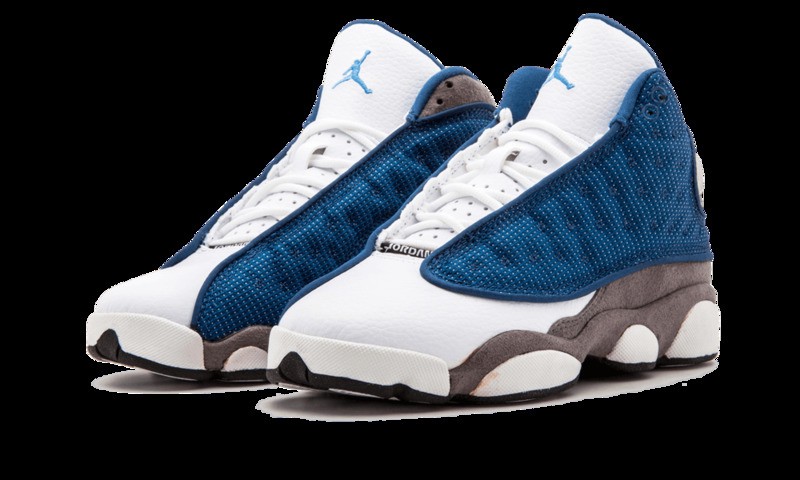 Featuring an all white base, Nike added french blue panels on the sides and flint grey leather on the outsole. 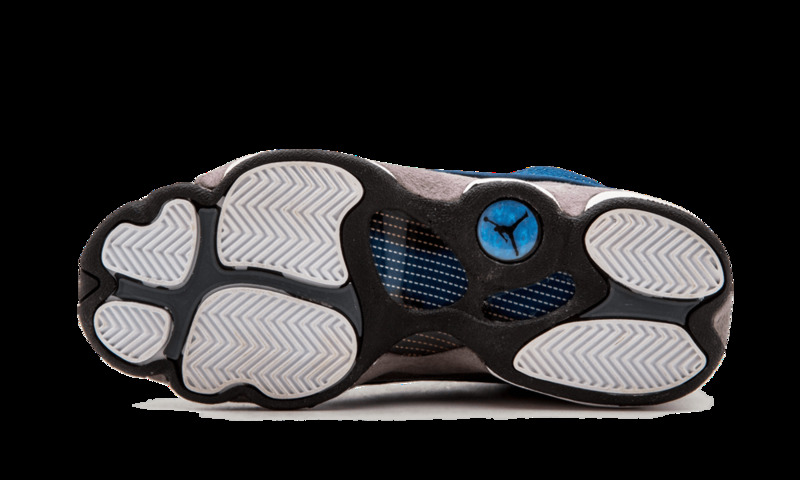 The soles are white to match the uppers and tongue.